Savi-Socket® Collar Remover with .24'' socket opening and 1/4'' female square drive. Eddie-Bolt® Collar Remover, Hi-Lok® Collar Remover, Hi-Lite® Collar Remover. Removes 3/16'' Eddie-Bolt® Collars. Savi-Sockets® are manufactured using high-strength tool steel. The socket is then heat-treated for optimum durability, and finished with a highly visible corrosion-resistant coating. The Savi-Socket® is suited for use on aluminum, steel, titanium, and all coated collars. As an anti-FOD measure, it incorporates a set screw for positive retention. Eddie-Bolt® is a registered trademark of Alcoa Fastening Systems. This is a Starter Set that contains 6 Savi-Sockets® for 75-85% of the Hi-Lok® collars typically encountered in routine aircraft maintenance, including the most frequently encountered collars. This is a set of 6 Savi-Sockes®. Removes all Dash 10 and 12 Hi-Lok®and Hi-Lite® Collars. (Sizes 5/16'' and 3/8'' diameter collars) Set contains Savi-Socket® Sizes: 43, 47, 50, 51, 55, and 56. This 4 piece Savi-Socket® set is specifically designed to remove Eddie-Bolt® Fastener Collars. This four socket set will cover all -5, -6, -8, and -10 Eddie-Bolt® collars. Savi-Socket® Collar Remover with .21'' socket opening and 1/4'' female square drive. Eddie-Bolt® Collar Remover, Hi-Lok® collar Remover, Hi-Lite® Collar Remover. Removes 5/32'' Eddie-Bolt® Collars. Replaces part number RS100-EB5. Savi-Socket® Collar Remover with .25'' socket opening and 1/4'' female square drive. Hi-Lok® collar Remover, Hi-Lite® Collar Remover. Savi-Socket® Collar Remover with .26'' socket opening and 1/4'' female square drive. Hi-Lok® collar Remover, Hi-Lite® Collar Remover. Perfect for BACC30BL5 and BACC30BP6 collars. Savi-Socket® Collar Remover with .27'' socket opening and 1/4'' female square drive. Hi-Lok® collar Remover, Hi-Lite® Collar Remover. Perfect for BACC30BL6 collars. Savi-Socket® Collar Remover with .28'' socket opening and 1/4'' female square drive. Hi-Lok® collar Remover, Hi-Lite® Collar Remover. Perfect for BACC30BH6 collars. Savi-Socket® Collar Remover with .29'' socket opening and 1/4'' female square drive. Hi-Lok® collar Remover, Hi-Lite® Collar Remover. Savi-Socket® Collar Remover with .32'' socket opening and 1/4'' female square drive. Eddie-Bolt® Collar Remover, Hi-Lok® collar Remover, Hi-Lite® Collar Remover. Removes 5/32'' Eddie-Bolt® Collars. Replaces part number RS100-EB8. Savi-Socket® Collar Remover with .33'' socket opening and 1/4'' female square drive. Hi-Lok® collar Remover, Hi-Lite® Collar Remover. Perfect for BACC30BP8 Collars. Savi-Socket® Collar Remover with .34'' socket opening and 1/4'' female square drive. Hi-Lok® collar Remover, Hi-Lite® Collar Remover. Perfect for BACC30BL8 collars. Savi-Socket® Collar Remover with .35'' socket opening and 1/4'' female square drive. Hi-Lok® collar Remover, Hi-Lite® Collar Remover. Perfect for BACC30BH8 Collars. Savi-Socket® Collar Remover with .36'' socket opening and 1/4'' female square drive. Hi-Lok® collar Remover, Hi-Lite® Collar Remover. Savi-Socket® Collar Remover with .37'' socket opening and 1/4'' female square drive. Hi-Lok® collar Remover, Hi-Lite® Collar Remover. Savi-Socket® Collar Remover with .39'' socket opening and 1/4'' female square drive. Hi-Lok® collar Remover, Hi-Lite® Collar Remover. Also Removes 5/16'' Eddie-Bolt® Collars. Related part number is RS100-EB10. Savi-Socket® Collar Remover with .43'' socket opening and 3/8'' female square drive. Hi-Lok® collar Remover, Hi-Lite® Collar Remover. Perfect for BACC30BH10 Collars. Savi-Socket® Collar Remover with .45'' socket opening and 3/8'' female square drive. Hi-Lok® collar Remover, Hi-Lite® Collar Remover. Perfect for BACC30BL and BACC30BP Collars. Savi-Socket® Collar Remover with .47'' socket opening and 3/8'' female square drive. Hi-Lok® collar Remover, Hi-Lite® Collar Remover. Savi-Socket® Collar Remover with .50'' socket opening and 3/8'' female square drive. Hi-Lok®®, Hi-Lite® Collar Remover. 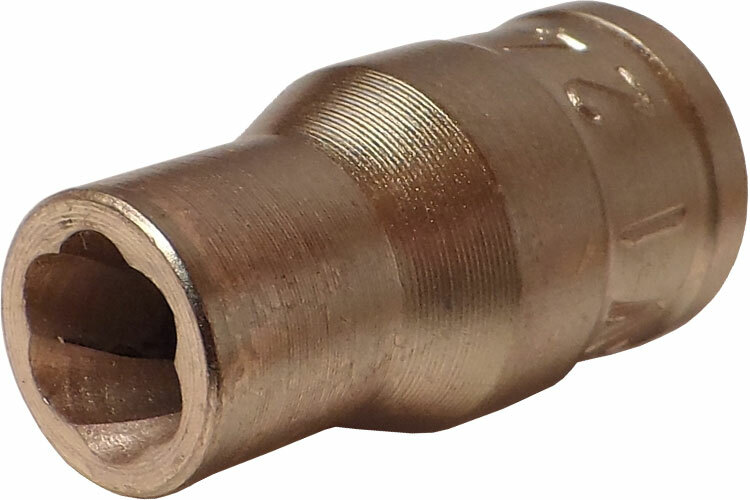 Removes 3/8'' Eddie-Bolt® Collars. Perfect for BACC30BH12 and BACC30BP12 Collars. Savi-Socket® Collar Remover with .51'' socket opening and 3/8'' female square drive. Hi-Lok® collar Remover, Hi-Lite® Collar Remover. Perfect for BACC30BL12 Collars. Related part number is RS100-EB12. Savi-Socket® Collar Remover with .55'' socket opening and 3/8'' female square drive. Hi-Lok® collar Remover, Hi-Lite® Collar Remover. Savi-Socket® Collar Remover with .56'' socket opening and 3/8'' female square drive. Hi-Lok® collar Remover, Hi-Lite® Collar Remover. Savi-Socket® Collar Remover with .59'' socket opening and 3/8'' female square drive. Hi-Lok® collar Remover, Hi-Lite® Collar Remover. Savi-Socket® Collar Remover with .63'' socket opening and 3/8'' female square drive. Hi-Lok® collar Remover, Hi-Lite® Collar Remover. Savi-Socket® Collar Remover with .67'' socket opening and 1/2'' female square drive. Hi-Lok® Collar Remover, Hi-Lite® Collar Remover. Savi-Socket® Collar Remover with .69'' socket opening and 1/2'' female square drive. Hi-Lok® Collar Remover, Hi-Lite® Collar Remover. Savi-Socket® Collar Remover with .71'' socket opening and 1/2'' female square drive. Hi-Lok® Collar Remover, Hi-Lite® Collar Remover. Savi-Socket® Collar Remover with .75'' socket opening and 1/2'' female square drive. Hi-Lok® Collar Remover, Hi-Lite® Collar Remover. Savi-Socket® Collar Remover with .78'' socket opening and 1/2'' female square drive. Hi-Lok® Collar Remover, Hi-Lite® Collar Remover. Savi-Socket® Collar Remover with .81'' socket opening and 1/2'' female square drive. Hi-Lok® Collar Remover, Hi-Lite® Collar Remover. Savi-Socket® Collar Remover with .83'' socket opening and 1/2'' female square drive. Hi-Lok® Collar Remover, Hi-Lite® Collar Remover. Savi-Socket® Collar Remover with .87'' socket opening and 1/2'' female square drive. Hi-Lok® Collar Remover, Hi-Lite® Collar Remover. Savi-Socket® Collar Remover with .94'' socket opening and 1/2'' female square drive. Hi-Lok® Collar Remover, Hi-Lite® Collar Remover. Savi-Socket® Collar Remover with 1.00'' socket opening and 1/2'' female square drive. Hi-Lok® Collar Remover, Hi-Lite® Collar Remover. Savi-Socket® Collar Remover with .21'' socket opening and 1/4'' female square drive. Removes all 5/32'' Eddie-Bolt® Collars. Replaces RS100EB-5 removal sockets. Savi-Socket® Collar Remover with .24'' socket opening and 1/4'' female square drive. Eddie-Bolt® Collar Remover, for 3/16'' Eddie-Bolt® Collars Replaces RS100EB-6 removal sockets. Savi-Socket® Collar Remover with .32'' socket opening and 1/4'' female square drive. Eddie-Bolt® Collar Remover, Removes 1/4'' Eddie-Bolt® Collars, Replaces RS100EB-8 removal sockets. Savi-Socket® Collar Remover with .39'' socket opening and 1/4'' female square drive. Eddie-Bolt® Collar Remover, Removes 5/16'' Eddie-Bolt® Collars, Replaces RS100EB-10 removal sockets. Savi-Socket® Collar Remover with .50'' socket opening and 3/8'' female square drive. Eddie-Bolt® Collar Remover, Removes all 3/8'' diameter Eddie-Bolt® Collars, Replaces RS100EB-12 Removal sockets.